Come to This Elegant Waterfront Condo on Ocean City, Maryland's Historic Boardwalk. Minutes from Shopping, Dining, Entertainment and Churches, it is an Ideal Location in the Heart of Historic Old Towne Ocean City. Belmont Towers is the Newest Building on the Boardwalk! The Views Are Stunning; the Sunrises and Sunsets Are Extraordinary from this Condo on the Seventh Floor! This Professionally Decorated and Furnished Builder Model is a Luxury Home Away from Home. The 3 Bedroom (the Master Suite is Fantastic! ), 3 Bath Condo Boasts a fully equipped Gourmet Kitchen, Flat Screen TV, Theater System, Additional Flat Screen TV and DVD in each bedroom and a Gas Fireplace. Washer and Dryer Are in the Unit So You Do Not Have to Go Out to Find a Laundry. Workout in the Fitness Center and Relax in the Sauna, then Lounge on the Pool Deck Area and practice on the Putting Green or cross the Boardwalk to the white sandy beach or just relax on your balcony and enjoy the View of the Ocean. Visit the Nearby Amusement Parks and Arcades, Play Miniature Golf, Take in a Movie...it's All Right There. Most of the time you will not have to move your car from the 2 Reserved Parking Places that come with this condo. 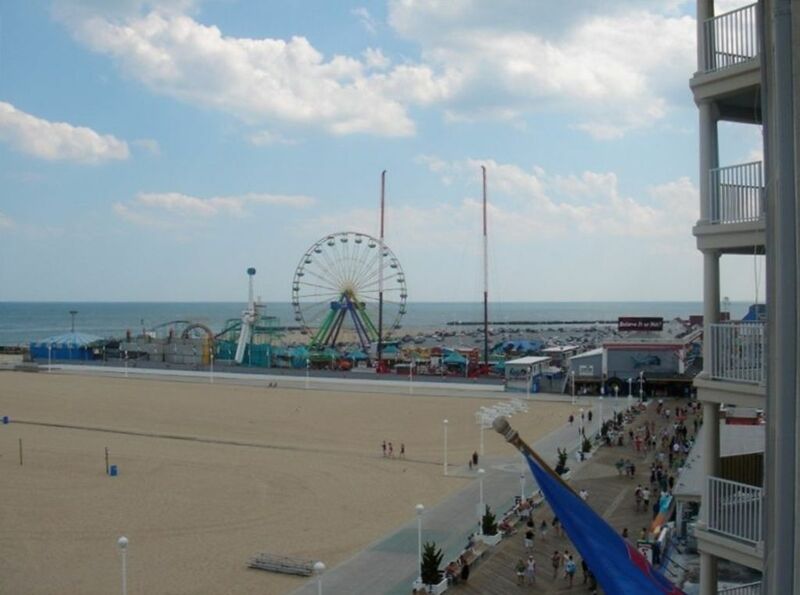 Located on the Widest Part of Ocean City's Beaches, the Open, Spacious Floor Plan lends itself to an Easy, Relaxed Vacation at 'The East Coast's Number One Family Resort'. Note: This is NOT a High School Senior Graduate Rental (must be 25 years old to rent this unit & be one of occupants). The condo was well kept and beautifully decorated. The view and location were on point. Nancy’s condo was the perfect place for our bachelorette weekend. We couldn’t have asked for a better location and view. Nancy was available when I had questions and was very easy to work with. The kitchen has everything you need and I loved how safe the building was. The condo was exactly as the pictures. Everything was in great condition and the location/view is amazing. We definitely plan to come back!!! This condo is perfection!! Beautifully decorated and the location can't be beat!! I will definitely look into staying here again! Couldn't ask for anything better!! Thank you for sharing your amazing condo!